May 17, 2013: Itsmyluckyday stretches his legs at Pimlico the morning before his second place finish to Oxbow in the Preakness. Itsmyluckyday was sidelined in June with a fracture to his pelvis, but stall rest seems to be doing the trick. His trainer, Eddie Plesa Jr., says he seems to be healing well. I hope they have better luck with him next year, because the plan is to bring Itsmyluckyday back as a four year old. He’s one of the most handsome horses around, and it would be fantastic to see him return to the track! May 18, 2013: Itsmyluckyday heads to the Pimlico paddock to be saddled for the Preakness. Itsmyluckyday was an unlucky 15th in the Derby this year, but he ran nicely to finish 2nd in the Preakness. This beautiful son of Lawyer Ron is already a graded stakes winner, so I’m looking forward to seeing him run again this year. May 2, 2013: Impressive Kentucky Derby winner Orb flies around the track a few mornings before his win in the slop at Churchill Downs. I’m headed to Baltimore for racing at Pimlico on Friday and Saturday. This will be my first Black-Eyed Susan day, but I’ve been to the Preakness for the last few years. Once again, I’m not allowed to take my good camera because of increased security due to the Boston bombings, but at least the weather should be better than the freezing rain we had at the Derby! Speaking of the Derby, several of the horses that ran in the Derby are also taking a shot at the Preakness. 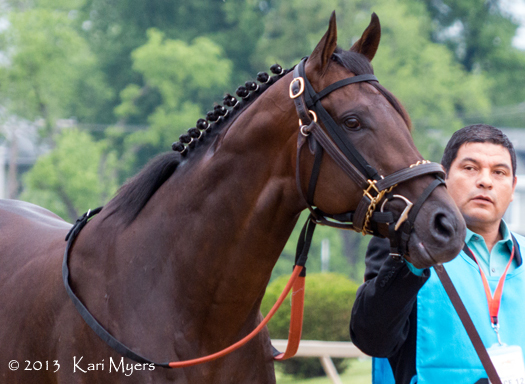 Here’s a look at a few that I spotted on the track while I was at Churchill Downs. 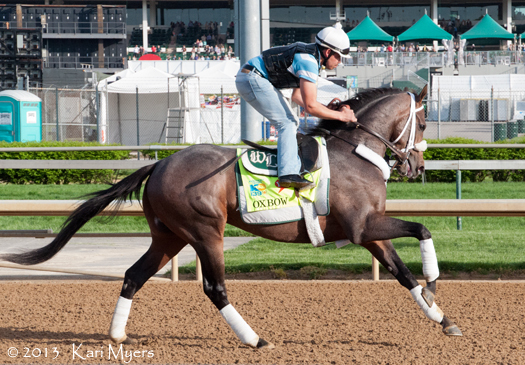 May 2, 2013: Oxbow will get another shot at Orb in the Preakness. It’s interesting to note that while he’s technically a bay, Oxbow’s coat is full of grey hairs that make him look slightly pale in photos. 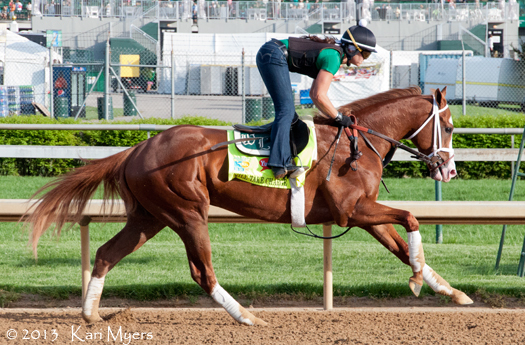 May 2, 2013: Will Take Charge gallops at Churchill Downs. His half-brother, Take Charge Indy, ran in the 2012 Kentucky Derby. 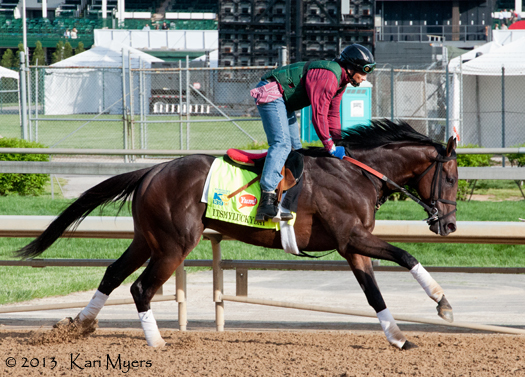 May 2, 2013: Itsmyluckyday will hopefully have more luck in the Preakness after finishing 15th in the Kentucky Derby. He’s just so lovely! May 2, 2013: Goldencents is a bright, beautiful son of Into Mischief, but faded to finish 17th in the Derby.